So glad you can join me! First up, you all know how much I love a white kitchen..so I just had to share this cute kitchen before & after from Christina's Adventures. 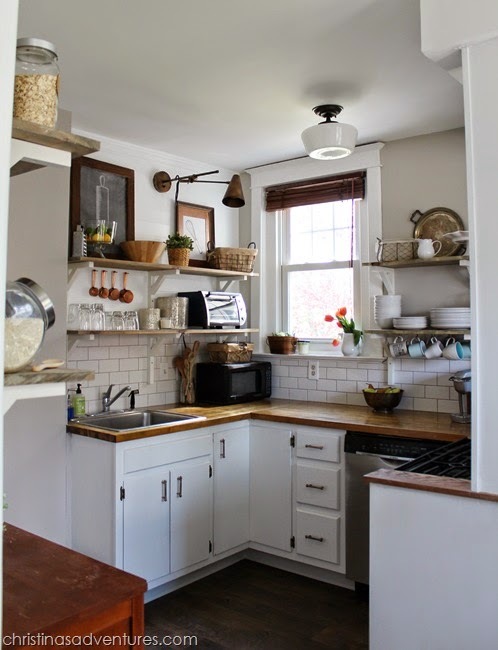 I love the open shelving...the subway tile...the vintage lighting! Should I go on? 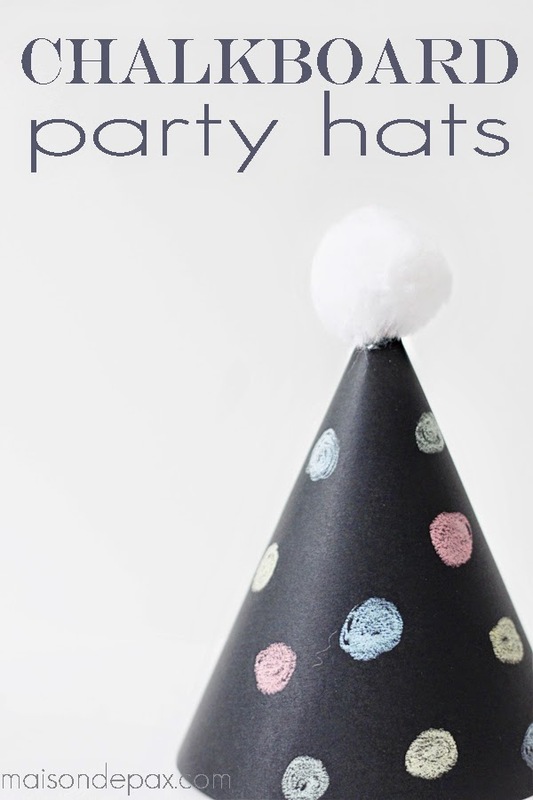 Read more after the break..
Next, I am crushing on these clever chalkboard party hats from Maison de Pax. What a fun idea! These could be personalized...and re-personalized. So cute! 1. Please link directly to your post and not just to your blog. Please refrain from linking posts for Etsy shops, giveaways, reviews or features of other bloggers' work. Please only link posts of yourown projects. Thanks so much for hosting! Have a great Friday and weekend. Happy long weekend and thanks so much for the party! Wendy, thanks for being a terrific host - have a wonderful weekend! Thanks for hosting! I’m sharing my light and easy Kitchen Sink Salad. Thanks for another great party!! How do you like the link backs? I have a "Party" page with your link on it (since I link up every week hehe ) is that ok? Love the kitchen feature. Thanks so much for hosting. Hope you have a great holiday weekend. Thank you Wendy for Frugal Friday. Have a great Memorial Weekend. Hi Wendy, thanks for the party!!! Thanks so much for hosting. I hope you have a wonderful weekend.